The Pixel was the first ‘Made by Google’ smartphone by the tech giant. It brought customers new features such as a new Google Assistant, and unlimited photo storage free of charge. EE were the exclusive partner here in the U.K. Both the White and Black models have been available since launch. There was also a “Really Blue” model which was only in America…..until now! To get the handset on EE, head to www.ee.co.uk/pixel. EE are going to be offering the handset with a free Daydream View VR headset and 10 free BAFTA-winning movies (including Les Miserables, Schindler’s List, Billy Elliot and more) on select plans. As an example plan, the Pixel will be available free on a 4GEE Max delivering unlimited UK minutes, unlimited UK texts, plus 7GB data per month for £45.99 per month. The Pixel XL is on the same package for £50.99 per month. Choose this 4GEE Max plan and you’ll get a free Daydream VR Headset worth £69 and access to those 10 movies via Google Play. 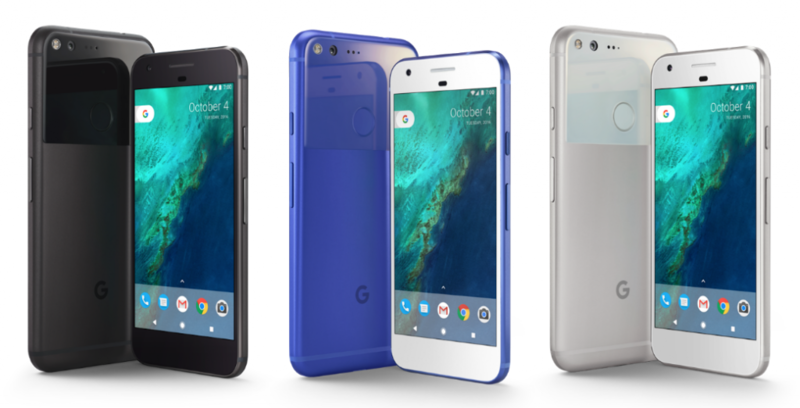 17 February 2017, London: EE, today announced it is the exclusive direct network partner for the new limited edition Pixel, Phone by Google in ‘Really Blue’. Only on EE will the stylish, limited edition Really Blue handsets benefit uniquely from WiFi Calling, 4G Calling, and the UK’s fastest mobile download speeds as a result of EE providing the only UK CAT 9 4G network – allowing users to get the very best Google experience on the move. The limited edition Really Blue handsets will be available to pre-order from 17th February. EE’s 4GEE Max plans give customers access to the UK’s fastest 4G speeds, and inclusive access to the BT Sport App for the duration of the plan. What’s more, customers can use their plan’s call, text and data allowance to ‘roam like home’ when abroad in the EU. Pixel and Pixel XL are compatible with EE’s 4G+ LTE-A CAT 9 network, which means they are faster on EE than on any other UK network. EE’s customers also useWiFi Calling allowing them to call and text in more places across the UK, as well as 4G Calling, so they can continue to download at full 4G speeds whilst on the phone.